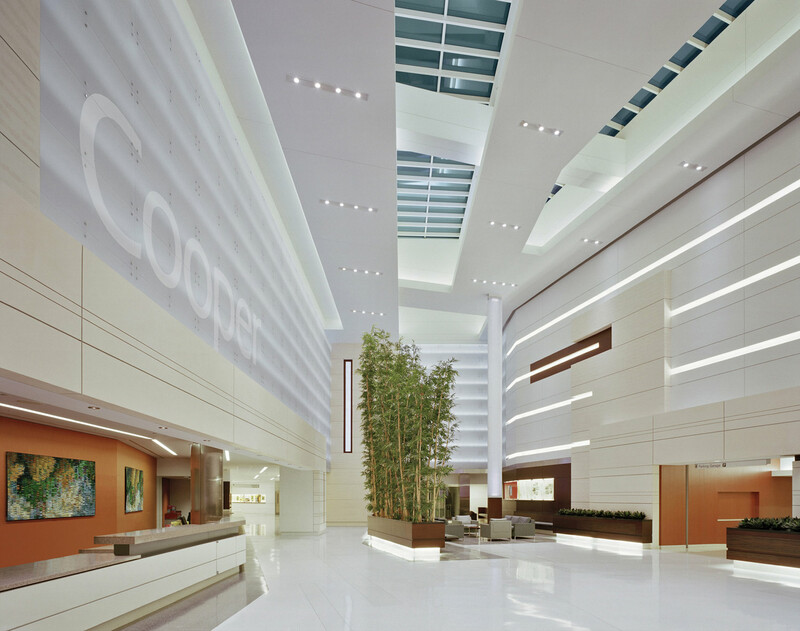 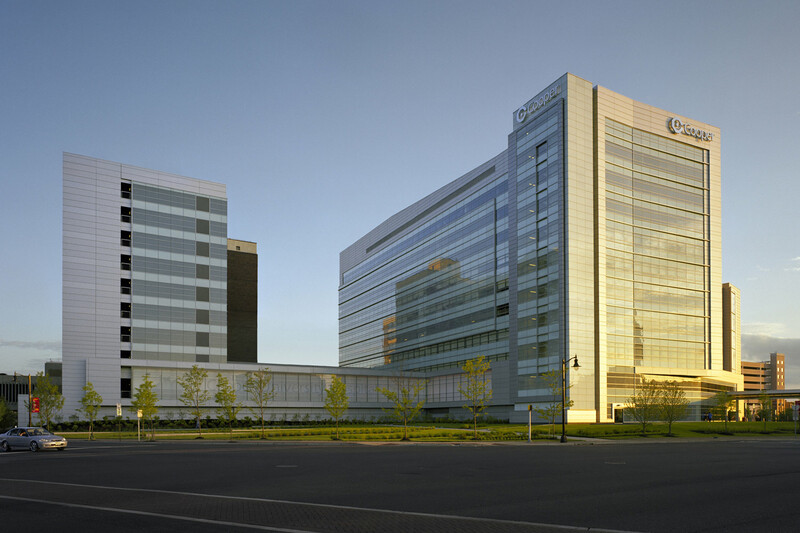 When Cooper University Hospital embarked on its first major building project in 29 years, it did so with three goals in mind: urban integration, patient / staff health and safety, and market recognition. 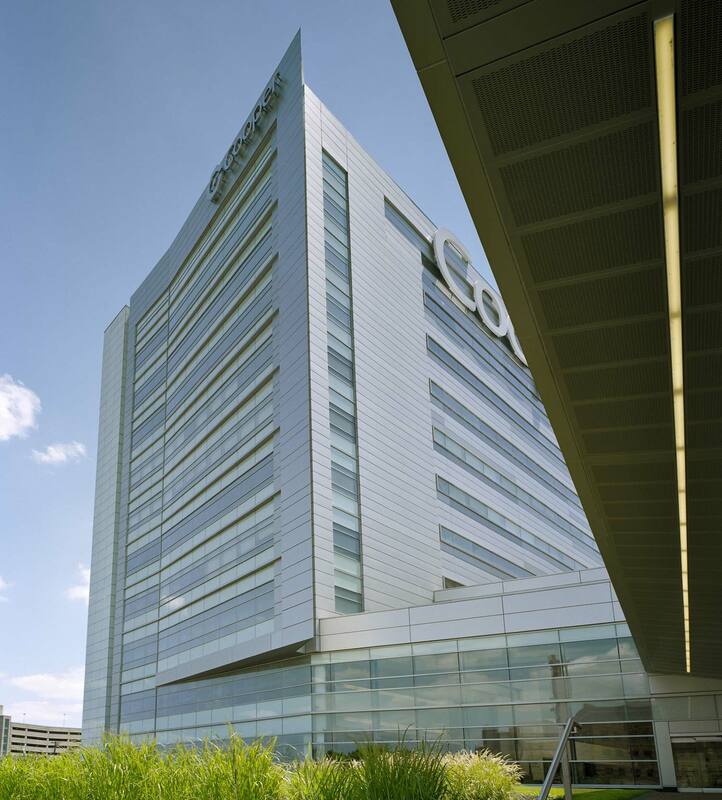 Few could have imagined the transformational effect the contemporary design of the 10-story Pavilion has had on Camden. 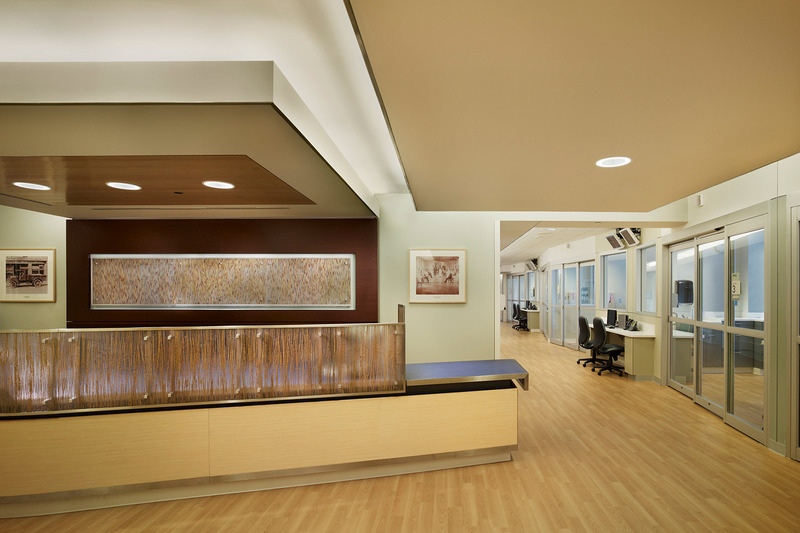 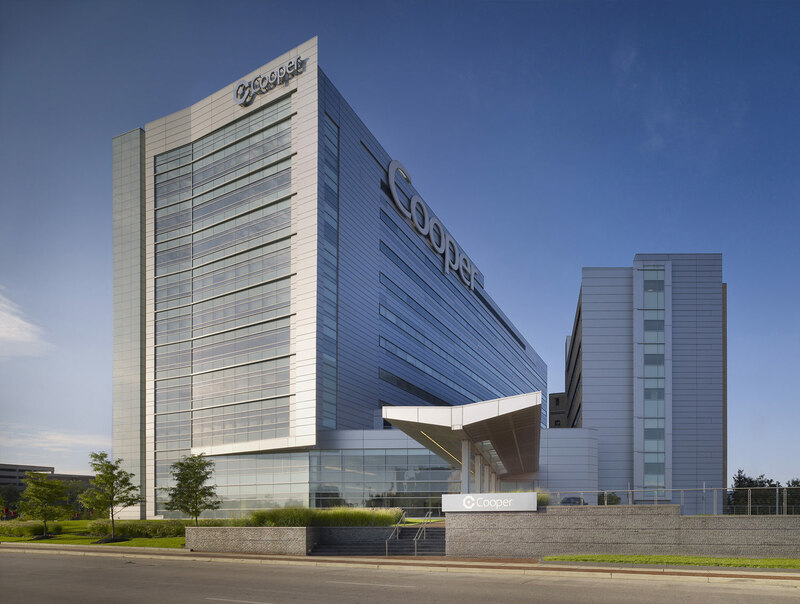 EwingCole designed the 297,650 sf Pavilion using glass with metal panel accents to convey openness. 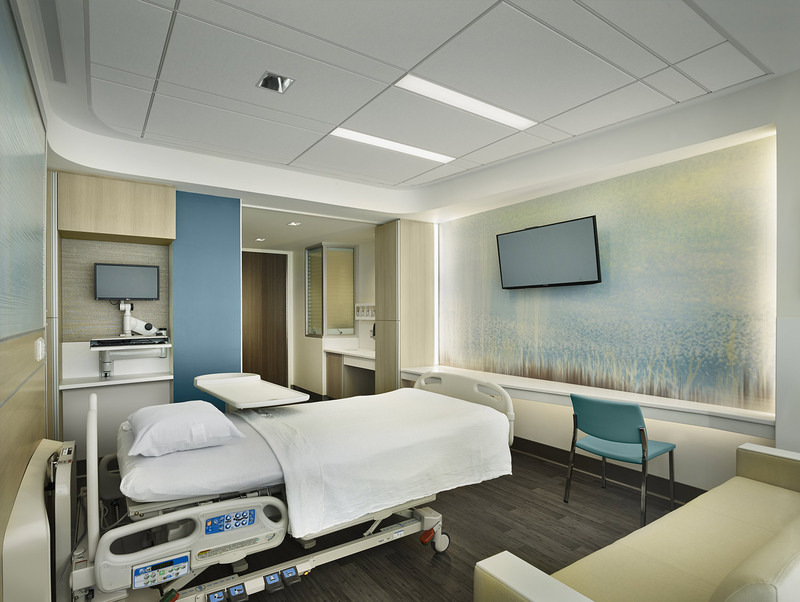 The Pavilion expands the campus with 90 new private beds, an expanded emergency room, new operating rooms, new Intensive Care Unit, clinical labs, and visitor amenities as well as room for future expansion. 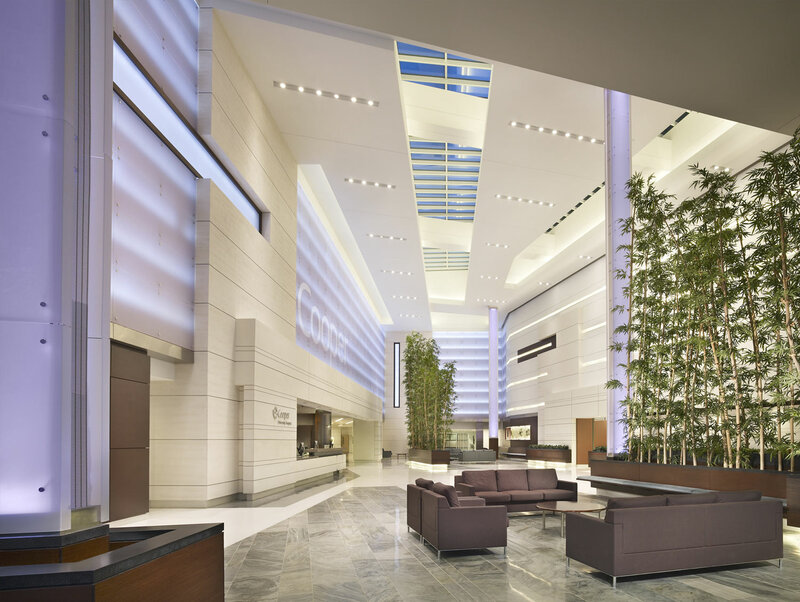 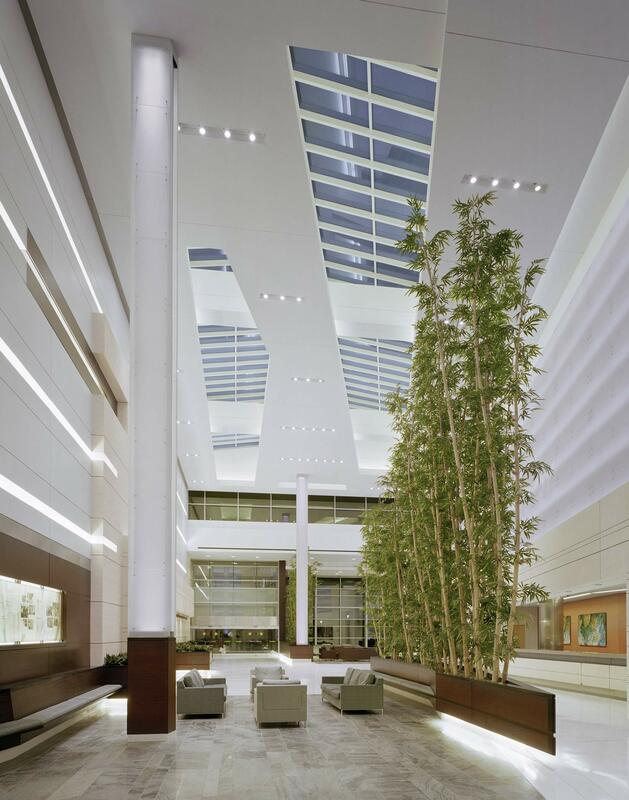 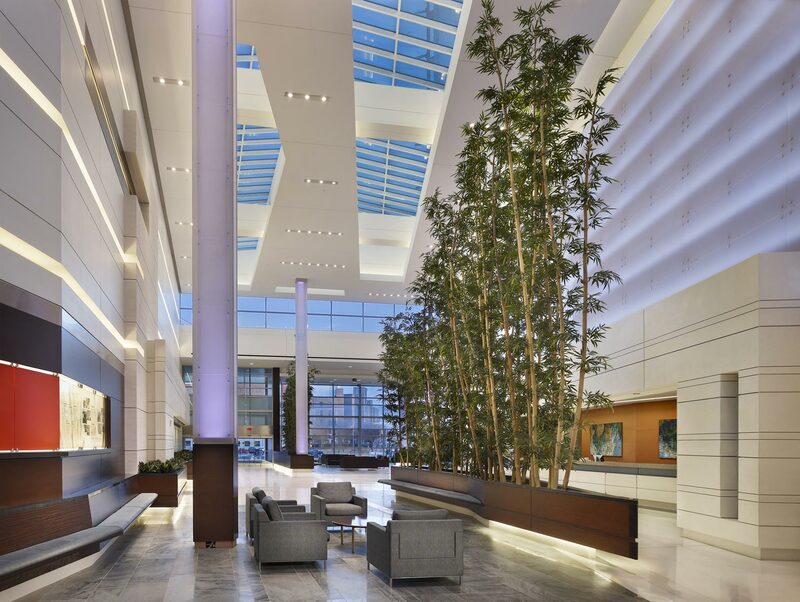 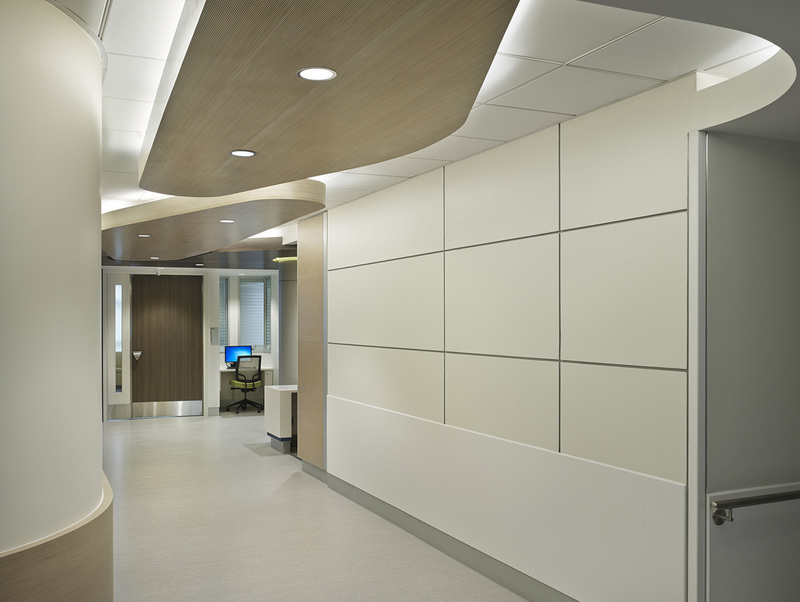 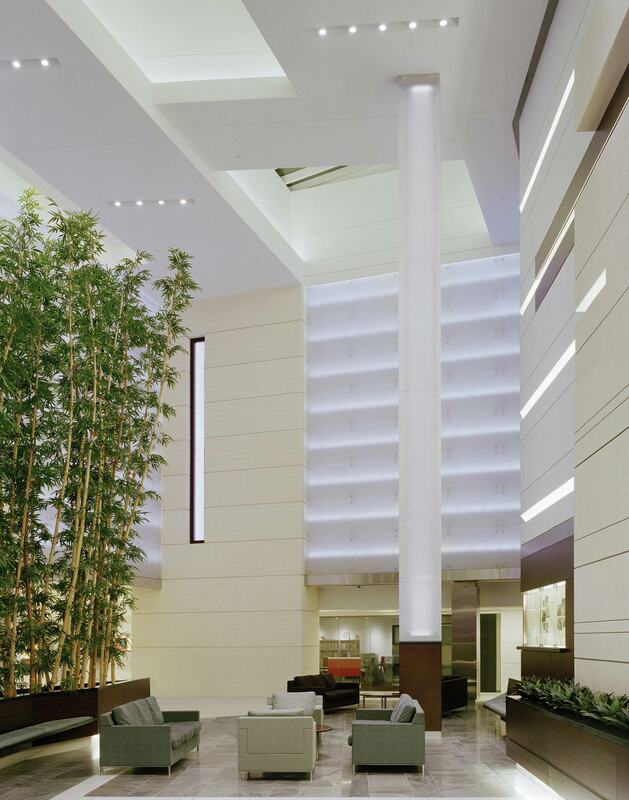 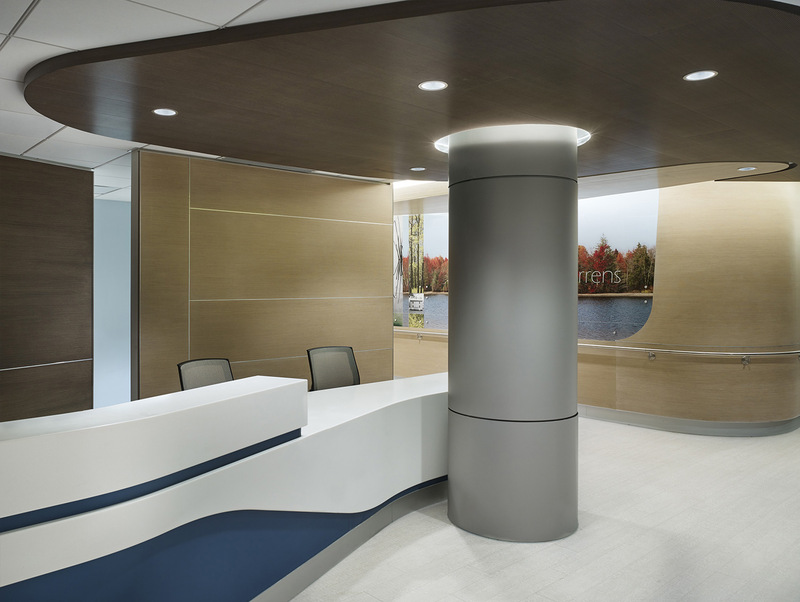 Towering bamboo, natural materials, natural and indirect lighting create a new first impression for visitors to the hospital. 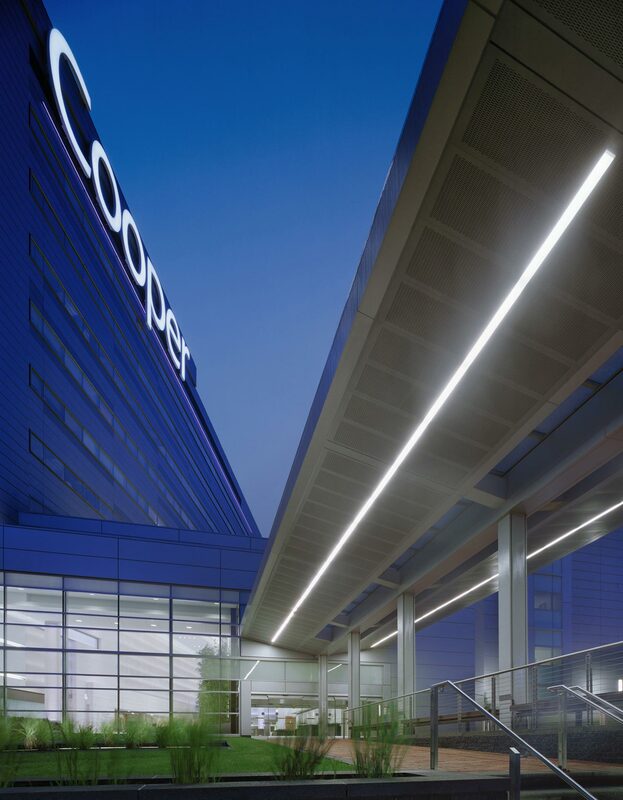 As part of Cooper’s commitment to Camden, neighbors enjoy a new green public space adjacent to the Pavilion. 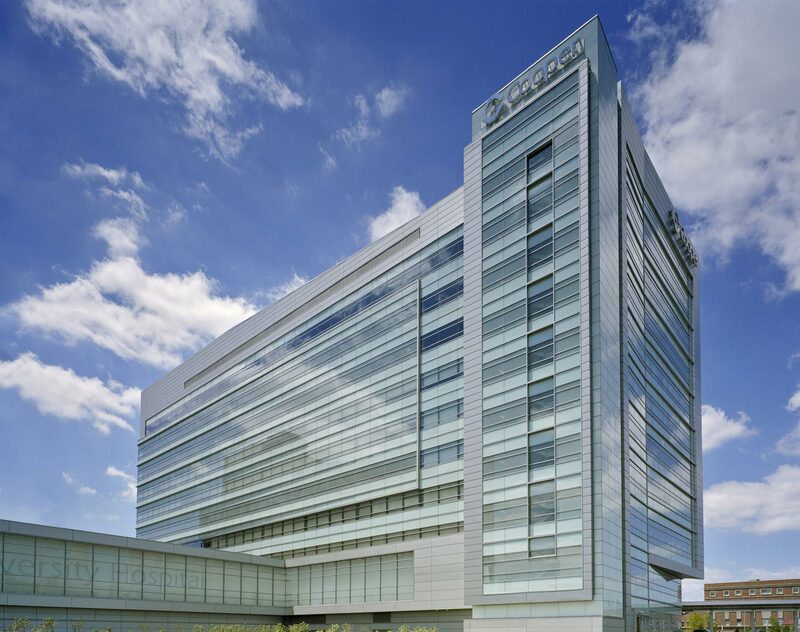 "This new Pavilion marks a rebirth for the hospital and this great city we have called home for more than 120 years. 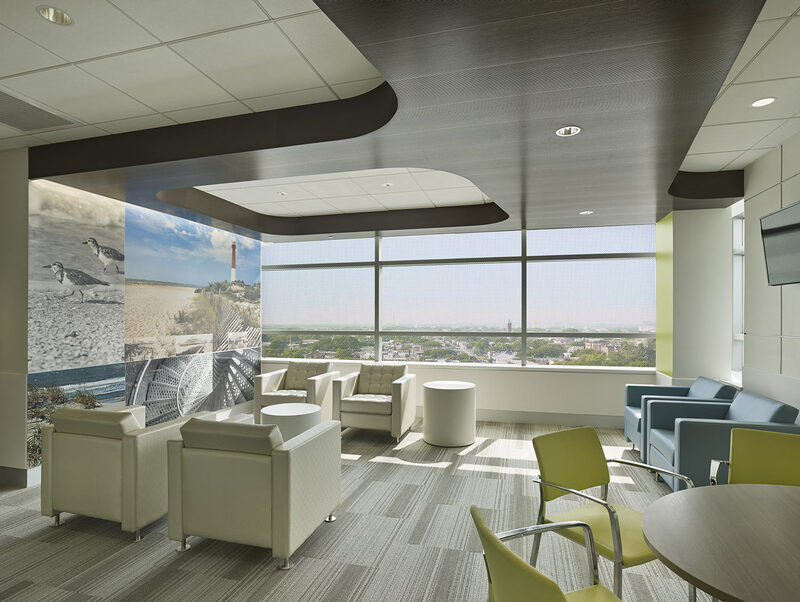 Our already existing superior care is now matched by a facility that casts shadows on others in the region."